Take a tour inside two of Mt. Lebanon’s most historic churches—Saint Bernard’s and Mt. Lebanon Evangelical Presbyterian. 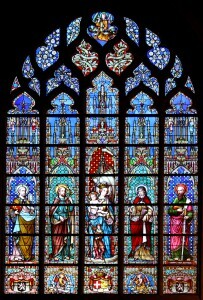 This 90-minute tour covers the history of both churches with a focus on their stained glass. Meet in front of St. Bernard’s church. Meet in front of St. Bernard’s Church. $8 for Historical Society members; $15 for nonmembers.